Proper temperature control for Data Centers during the winter is just as crucial as the summer. 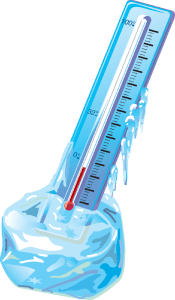 Cold weather causes its own types of problems for your data center. Issues can range from minor inefficiencies to critical loss of data and equipment failure. As a result, all of which can shut down your data center. While the weather is unpredictable, you have the ability to control and maintain both humidity and temperature; which helps alleviate the problems for data centers in winter. Set your humidity and temperature according to the American Society of Heating Refrigerating and Air-Conditioning Engineers’ (ASHRAE) recommendations for data center operations. Avoid disrupting production and continuity. Use these temperature controls and ensure reliability inside, regardless of what is happening outside. Trying to coordinate multiple zones to work together as a single unity seems challenging. Using intelligent control systems, especially in winter, prevents units in different locations from conflicting from each other. The control system also offers feedback for the conditions throughout the room, which helps determine if adjustments are needed. Hence, reliability is automatic. Clogged drain due to mineral deposits in humidifier pans. Electrode failures in the steam humidifier which prevents malfunction. Check heat rejection fluid (alike anti-freeze for cars) to make sure the right amount of inhibitor or glycol is present. Remove any buildup of calcium deposits on humidifier which can cause overflow onto the floor. Check outdoor condenser and dry coolers, and remove leaves and debris. Inspection of heater pad in condensers which may need replacement to operate through winter. Maximize seasonal efficiencies by resetting your heat rejection point. Fans on dry coolers and chiller plants work to drive down the temperature of heat rejection fluid. Consequently, in the winter, you can capitalize on the lower temps and capture cooling from the fluid, and cool the space without using the compressors. Thus, increasing system efficiency and saving on energy costs. Contact The Severn Group today to see how you can increase the efficiency of your data center’s HVAC system. These are the best ways to avoid problems for data centers in winter. Most noteworthy, in conclusion, we can help you formulate the best strategy to save money and ensure proper operations all winter long.